In the current business model of theme parks, the park itself serves as an instant and rapid income generator for the larger parent corporation. “Immediate profits are made in much the same ways as in other mass entertainment industries, such as movies, rock concerts, and mass sports events” (Davis, 1996, p402). However, the theme park differs from the amusement park because it depends on a narrative around which to build the rides, shows, shops, and restaurants (Herwig, 2006). And this is where the movie studio branches of these large corporations come into play. The movie (usually an epic, horror, or adventure) provides the narrative for the theme park (Herwig, 2006). Instead of the amusement park concept of hiring random performers, “the theme parks, by contrast, specialize in experiential homogeneity (Bristol, 1996). Simply stated, the theme park carefully crafts the types of performers that will be there. Ordinarily, the performers are in live shows directly associated with a work of cinema [e.g. Beauty and the Beast: Live on Stage (Walt Disney World), Beetlejuice Graveyard Revue (Universal Studios), or Grinchmas (Universal Islands of Adventure)]. While, midway performers and carnival workers or the golden age of the circus or roller-coaster parks are a hodgepodge of different ideas, the theme park is centrally produced and conceptualized for an experience that transcends from the superficial down to the core (Block, 2012). If a theme park is designed well, the park guests can easily describe the theme. For instance, Disneyland’s theme would be the Magic Kingdom of Disney fantasy; the guests at Universal Studios can easily understand the theme is the movies. Not all parks are able to draw on a vast film heritage (e.g. Six Flags, Cedar Point, SeaWorld Parks and Entertainment). However, the parks with a direct connection to the cinema have consistently out performed their respective counterparts (IAAPA, 2014). There are exceptions to this rule of thumb, though. SeaWorld Parks and Entertainment does not have direct access to a vast film heritage (like Universal or Disney), but it perfected how to capitalize on theming from a historical perspective (as did Busch Gardens Williamsburg) and from a zoological perspective (as did SeaWorld Parks and Busch Gardens Tampa Bay) (Davis, 1996). However, in recent years, SeaWorld Parks and Entertainment has tapped into the franchises of DreamWorks Pictures and Sesame Street because of the instant association with cinema and television entertainment (Niles, 2013). 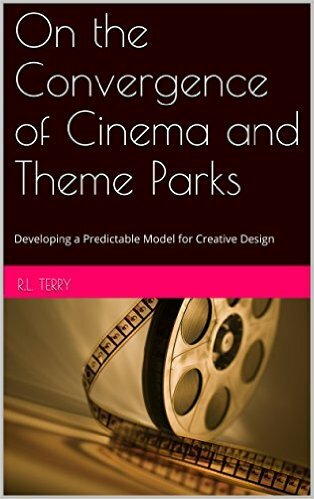 Before tackling this paper’s over-arching concept of analyzing the convergence of theme parks and movies, the question of “why media conglomerates” needs to be explored. It is important to note that in her article entitled The Theme Park: a Global Industry, author Susan G. Davis (1996) tackles this very subject. She suggests that the short answer is the simple fact that well-produced and directed theme parks are extremely profitable in the short-run. But, the fact they are highly profitable quickly does not take away from the fact that they are a massive financial expenditure for years prior to opening the gates to audiences turned guests. Once up and running, these mass entertainment behemoths provide an extraordinary source of virtually endless income for the media conglomerates. This income is used to produce the movies that will eventually wind up in the parks, and are also used for park improvements as technology and public taste or opinion changes (1996). The acquisition of an existing or development of a new park is a perfect way for media conglomerates to enter into the tourism industry, thus providing a greater array of diversification. By gaining access to the tourism industry, media conglomerates can not only continue to make the movies they want, but can license or operate cruise ships, golf courses, restaurants, hotels, and resorts. In effect, by entering into the tourism industry, the media conglomerate can essentially create an entire entertainment district that acts as the fabled goose that laid the golden egg. You can always find out what you missed by buying my book on Amazon. To go back to the beginning of the series, click HERE.